Learning how to drive can be expensive, so it’s a good idea to find ways to cut any unnecessary costs out of the process. 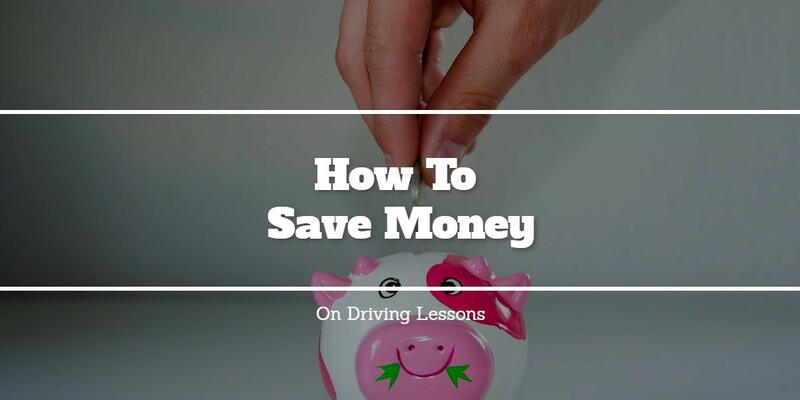 With these top money saving tips, you can learn how to drive without feeling the pinch in your pocket. An important part of selecting the right driving instructor for you is finding someone who fits your price range, but you should also choose an instructor who makes you feel comfortable. This will facilitate the best learning environment, which means you’ll be getting the most out of your money. Ensure that any instructor you’re considering is DVSA registered and approved and avoid instructors who ‘piggy back’. This means that they pick up their next student before your lesson has finished and have you drive yourself home, considering this a part of your lesson. If your instructor does this, you’re missing out on the undivided attention you’ve paid for. Some people find hour-long driving lessons to be too short to get any quality learning done. After being picked up and preparing to begin the lesson, you may find yourself left with only a short period of time for the actual driving. This is why choosing two hour lessons may work out cheaper in the long-run. Practising with a friend or family member is a great way to boost your confidence on the road. This is ideal for any learner driver whose had a bit of experience with an instructor. Make sure the person who accompanies you is over 21, has a full driving licence and that you’re both insured on the car you’re driving. Don’t forget to attach learner plates to the vehicle before setting off. When booking in your driving test, try to select a date during the midweek rather than booking on a weekend. This is because practical driving tests tend to be a bit cheaper midweek. For more tips on learning to drive and for driving lessons, contact Alfie’s Driving School today.